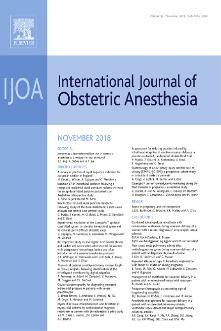 Having had the pleasure of announcing the last BU publication yesterday, today we received an email that our paper ‘Design errors in vital sign charts used in consultant-led maternity units in the United Kingdom’ has been accepted by the International Journal of Obstetric Anesthesia. This paper is led by FHSS Visiting Faculty Gary Smith and Richard Isaac and has as co-authors Vanora Hundley, Lisa Gale-Andrews and Edwin van Teijlingen as well as two further BU Visiting Professors: Mike Wee and Debra Bick. Congratulations to Orlanda Harvey on the publication of her paper ‘Shades of Grey’: The Ethics of Social Work Practice in Relation to Un-prescribed Anabolic Androgenic Steroid Use. Orlanda Harvey is a PhD student in the Faculty of Health and Social Sciences with a research interest in image and performance enhancing drug (IPED) use. 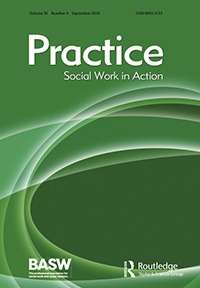 Her paper will be published in Practice: Social Work in Action. This paper highlights ethical dilemmas that social workers face when assessing risk in relation to those using substances. It explores how legislation and societal factors can impact not just on people’s choices and decisions but also on their ‘vulnerability’ and access to services. Vulnerability, a contested term, is linked, in this paper, to assessment of risk. There are ethical issues that arise when assessing risk with people who use Anabolic Androgenic Steroids (AAS) from both service user and professional perspectives. These ethical issues concern a person’s right to choose whilst making potentially harmful decisions. The paper argues that using substances such as AAS in and of itself does not suffice to make a person vulnerable but this does not mean that people using AAS are not in need of support. It suggests that there may be some groups of people who are more at risk to starting AAS use and that social workers should be aware of these. It also recommends the need for further qualitative research to understand the reasons for starting use and support to help people stop using AAS. On the last working day of 2018 at Bournemouth University we congratulate FHSS student Raksha Thapa on the publication of her first PhD paper in her first PhD year. 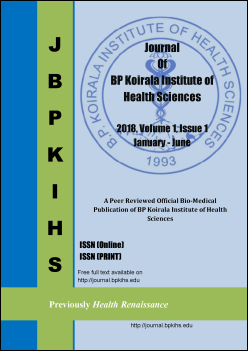 The paper Uptake of Health Services by People from the Dalit Community was published today in the Journal of BP Koirala Institute of Health Sciences . Raksha is supervised by Dr. Pramod Regmi, Dr. Vanessa Heaslip and Prof. Edwin van Teijlingen. The paper discusses a variety of studies and reports on the uptake of health services in Nepal and other low-income countries by socio-economic cultural status in South Asia. These reports often focus on limitations due to physical factors, such as travel distance to health facility, or lack of medical facilities or electricity at the health care centre or focus on resources, such as lack of service providers, or lack of appropriately trained staff. Therefore, this article highlights the importance of discrimination as a reason for people not seeking available health care. Discrimination is particularly a barrier to service usage among the most deprived people in society, such as the Dalit community in Nepal and South Asia more generally. The authors discuss the caste-based discrimination in Nepal and its effects on health outcomes of those groups who experience such discrimination. Thapa, R., van Teijlingen, E., Regmi, P. , Heaslip, V. (2018) Uptake of Health Services by People from the Dalit Community, Journal of BP Koirala Institute of Health Sciences 1(2): 1-6. There’s a Place Left for You at Creative Writing for Academics…if you hurry! There are a very few places left for the two-day workshop in Creative Writing for Academics. 11 & 12 January at EBC. It is FREE but you need to commit to the two days. Email Kip Jones NOW if you would like to reserve one of last places. Kidney Research UK continues to support BU research. Diabetes is the leading cause of kidney failure in the UK. In collaboration with the University of Bristol, BU is in receipt of (another) three year grant that ultimately, we hope, will lead to the discovery of new treatments to prevent kidney failure developing in patients with diabetes. The work, using patient data and BU’s Drosophila (fruit fly) kidney model, will look at how preventing the disruption of energy within kidney filtration cells called podocytes might slow or prevent kidney failure. The image shows the surface of a podocyte-like cell within a fruit fly, with linear arrays of filtration slits covering its surface. 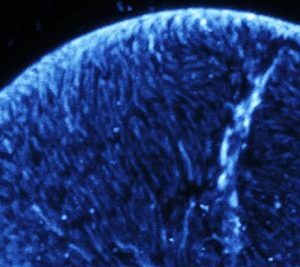 These minute structures are common to both human and fly cells and become damaged when energy is depleted in the cells – leading to loss of cell function. Flies allows us to understand the molecular basis of how this leads to kidney failure in humans – and guides us as to which molecules to target in the patients. Hospitality food waste represents a significant societal challenge. It is however under-researched with most studies approaching the issue from the perspective of sustainable agriculture and environmental, rather than hospitality, management. Given the specificity of hospitality operations, this is a major shortcoming which hampers understanding of the determinants of effective mitigation. This paper provides a critical, analytical account of the literature on hospitality food waste made from the viewpoint of hospitality managers. It reviews the challenges in classifying, quantifying and characterising hospitality food waste, discusses the opportunities and obstacles to its mitigation and, drawing on good business practice examples, derives a framework for managing food waste across the different areas of hospitality operations. The framework is underpinned by such determinants of effective mitigation as: core in-house competencies; training needs; initial investment costs; and potential monetary savings. The feasibility of its broader adoption by managers across the sector is discussed. Dr. Kaouther Kooli, Conference Co-Chair, opening ceremony. In collaboration with the Interdisciplinary laboratory of University-Enterprise Management (LIGUE-ISCAE), the centre of Research on Retail and Digital -FSA- University of Laval-Canada; the Academy of Marketing B2B SIG au Royaume-Uni, The Association pour la Promotion de l’Innovation et de la Qualité (APIQ) and The University of Manouba, Bournemouth University has organised a fantastic conference on the 3rd and 4th December 2018 at the Golden Tulip El Mechtel in Tunis. 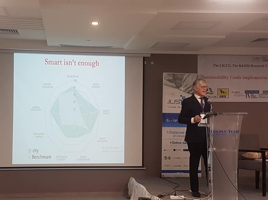 Professor Derrick De Kerkhove brilliantly highlighted the connectedness of nowadays world in the plenary session, and, set the tone for this conference that addresses sustainability, one of the shared global issues strongly supported locally, regionally and internationally. Indeed, North African countries are signatories of the General Agreements on Customs Tariffs and Trade (GATT-WTO), among so many other countries. To comply with the 2030 sustainability agenda and with the expectations of their international partners, these countries have to adopt and integrate the sustainability objectives. However, considering the low level of integration of sustainability and social responsibility in the strategic objectives of the different stakeholders, the arguable diffusion of Information and Communication Technologies, the degree of adequacy of the legal and legal framework (standards, certifications, etc. ), and the recent sociopolitical changes in these countries, it is essential to debate the challenges / obstacles / levers for integrating the 2030 sustainability perspective and to discuss possible routes for the different stakeholders involved in a conference. Professor Derrick De Kerkhove brilliantly highlighted the connectedness of nowadays world in the plenary session, and, set the tone for this conference that addresses sustainability, one of the shared global issues strongly supported locally, regionally and internationally. 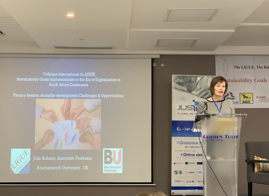 Dr. Julie Robson, Associate Professor of Marketing at Bournemouth University (UK).She is a specialist in Financial Services Marketing, Banking Marketing, Insurance and Islamic Finance and is a member of the Editorial Board of The International Journal of Bank Marketing. Professor Samir Trabelsi, Professor of Accounting at Brock University (Canada). His research interests include governance, transparency, financial risk management and social responsibility. In addition to the British Academy’s indexed conference proceedings, five ABS journals sponsored the conference with special issues: Journal of Customer Behavior; Qualitative Market Research- An International Journal; Cogent Business and Management; Social Business and Transnational Marketing Journal. More than 140 participants took part in this event. 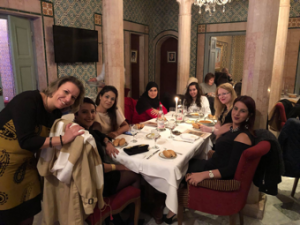 As well as academics from different management science disciplines from the UK, Canada, Egypt, Spain, France, Italy, Libya, Morocco and Tunisia, practitioners operating in various economic sectors (private or public) i.e. educational, social, technological, governmental, Not for Profit, etc. 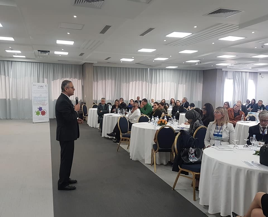 joined the conference to discuss the results of scientific research, professional experiences, challenges, concerns and levers for implementing the sustainability goals. The results consisted in a very fruitful exchanges that were widely appreciated by all attendees and commented on extensively by the media covering the event (TV216, El Janoubia TV, press unit of Universincity of Manouba) and on social media (mainly Facebook). Friendly ambiance and lots of networking at the El Medina restaurant. During two intensive days, roundtable discussions on experiences, challenges, prospects for the implementation of the sustainability goals, local government governance, smart cities, the link between trust and sustainable development, the role of the media in achievement of the sustainability goals, water issues as a public issue, networking workshops, meetings with the editors of the Journal of Customer Behavior, Qualitative Market Research- An International journal, Cogent Business and Management, Social Business and Transnational Marketing Journal; and research paper sessions, provided an opportunity to develop collaborative networks on common issues leading to future collaborative projects. In this regard, several projects were discussed and meetings were held and / or are planned to concretise these collaborations. The conference was sponsored by prestigious organisations that were also represented in the conference through contributions to very rich roundtables. These are : PMS Service Company, Societe National de Petrole SNDP Company (AGIL), Tunisair; Biolive, Justech. 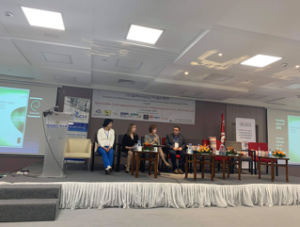 Ms. Zeineb Attia (HR Expo); Dr. Khaoula Ben Mansour (INLUCC); Ms. Zohra Boussetta (Biolive); Prof. Aysha Karrafi (ATGL, APER); Mr. Nizar Nouiri (Factory 619); Ms. Sana Oueslati (e-Government Unit, Prime Ministry); Ms. Souad Siala (Canadian-Tunisian Chamber of Commerce); Mr. Charfeddine Yakoubi (ATCP); Dr. Slim Mehrezi (Mayor of the la Marsa Council); Mr. Sami Marrouki (President of IRSET) and Mr. Nabil Smida (CEO of SNDP). Publications for academics from all participant countries i.e. North Africa and beyond in ABS journals bringing new research approaches/methods that are more specific to an under researches part of the world. Joint projects linking academics from different countries i.e. Dr Cherifa Lakhoua presented a paper on the impact of the socio-political situation, images and intention to visit: how to develop a sustainable image of a country and a destination? Taking the case of Tunisia. She is now collaborating with Dr Hazeem Rasheed from the College of Management and Technology in Egypt, to collect further data from Egypt. The conference is one of the very few opportunities for North African countries to meet and debate over shared issues. 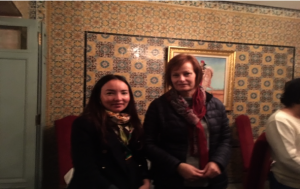 Collaboration of Dr Kaouther Kooli (BU) with Professor Derrick De Kerkhove (Italy) on the project “I am Bizerte” which is part of a bigger project “Smart Bizerte”. 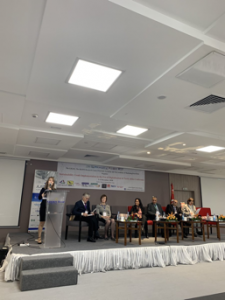 Collaboration between Bournemouth University and the College of Management and Technology in Alexandria on a future conference. In addition, to initiating a partnership led by Professor Sangeeta Khorana and Dr Kaouther Kooli between both institutions. Dr. Kaouther Kooli is nominated a mentor for researchers/academics working at the College of Management and Technology, Alexandria, Egypt. Initiating a partnership between the American University in North Africa AUNA in Tunis and Bournemouth University. Build capacity and capability to deliver the BU2025 outcomes through (1) leading thoughts and research looking at an under explored region in the world, (2) through publishing relevant research that touches pertinent issues, hence with strong potential impact on the society, (3) through enhancing BU position as a sustainable organisation that is ahead of the curve in reflecting upon the inclusive environmental impact. The event contributes also to BU reputation and networks by developing BU network of partners. This is much needed especially if we consider that the UK is going through tremendous changes triggered by Brexit. Finally, this event contributes to BU strong commitment to ensuring equality and diversity, through collaborating with colleagues in North Africa on key global issues. 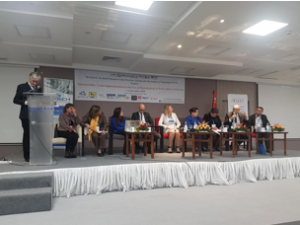 During the conference, contributions from academics, practitioners and other stakeholders, have emphasised North Africa as an important player, alongside with other international stakeholders, in achieving the 2030 sustainability agenda. These contributions took different forms i.e. research papers, roundtable discussions. A big thank you for two wonderful ladies: Dr. Julie Robson and Dr. Elvira Bolat for their dedication and contribution before and during the conference. Finally, I would like to thank Professor Michael Baker, Professor Ibrahim Sirkeci and Dr Andrew Lindridge for supporting the conference with special issues of ABS journals, hence, providing academics in North African countries and others with a huge opportunity for publication. I wish you all a Very Merry Christmas and a Happy New Year. It may surprise you but your heart is nothing new. Insects that evolved nearly half a billion years ago had already developed beating hearts. Much of the genetic machinery that controls our own heart beat and heart’s contraction has been conserved during evolutionary time – nature has not deemed it necessary to change it much. OK, the scale and shape of our hearts has changed a little since flies evolved but the molecular mechanics underpinning each heart beat haven’t. This means we can use flies and their genetics to understand human hearts. This is especially useful for ageing research when other models are simply too challenging to manipulate. Research work funded both in the UK by the British Heart Foundation and the USA by the National Institutes of Health is now being summarised in this review. 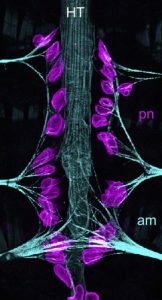 The image shows the Drosophila (fruit fly) heart tube (HT) with associated kidney-like cells either side of it (purple) and alary muscles which act like guy ropes, pinning the heart to the fly’s abdomen. Remember this the next time you wash your car’s window-screen – you’re scraping away a lot of very cool biology! The “Gaze” is a complex and overarching phenomenon comprised of diverse “Gazers” and “Gazees”. This paper adopts an existential-phenomenological perspective to understand tourists’ lived experiences of being gazed upon by local people. Based on thirty experiences collected from interviews with ten participants, we show that experiencing the “Local Gaze” exposes the tourist as Sartrean “Tourist-esque”: an inauthentic experiencer of positivity, discrimination, alienation and self-consciousness. Moments of true human connections are at best ephemeral. Through an existentialist lens, the study questions the possibility of authentic host-guest relationship in tourism and argues that to maintain hopes for an authentic relationship, the concepts of “Gaze” and – perhaps even of “Tourism” – need to be transcended. 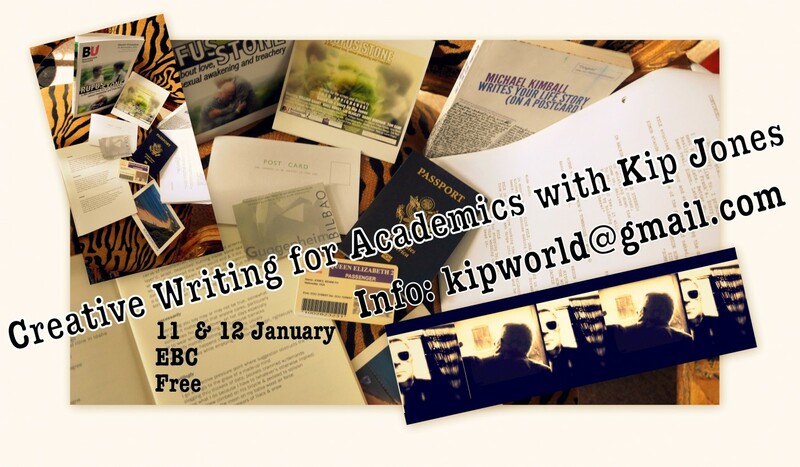 The Creative Writing for Academics Workshop on 11 & 12 January is filling up very quickly! There are only a few places left. If you can commit to attending both days, email Kip Jones now to hold your place. People with dementia often find it more difficult to understand and navigate built environments. Dementia-friendly environments compensate for impairments to maximise independence and quality of life. During the last week of November Prof Jan Wiener, Dr Michelle Heward, Amanda Adams and Dr Sarah Hambidge from the Ageing and Dementia Research Centre (ADRC) launched the new SustAining residenT NAVigation in care environments (SAT NAV) education programme, running two workshops with 28 local practitioners including care home managers, architects and interior designers. The aim of the workshops is to enable practitioners to develop strategies to support people with dementia in unfamiliar environments. To facilitate this, practitioners learnt about existing ageing and dementia friendly design principles and audit tools as well as how navigation research can support wayfinding in care environments. This included an overview of the ADRC empirically validated design guidelines, a key output from a two year ESRC grant and over 10 years of research by Prof Jan Wiener, to support effective way finding in people with Alzheimer’s disease in care environments. Design suggestions made by students from the Bournemouth Arts University Graphic Design course led by Alice Stevens were also included to give practitioners ideas for implementing the design guidelines in their own practice. 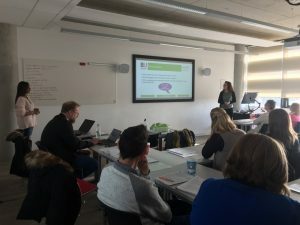 Feedback from the workshops suggests that the practitioners ‘…have a better understanding about navigation and orientation for people with dementia’ and that the ‘training has given me ideas to take back to workplace’. The team will continue to develop the education workshops and plan to hold several more in 2019. Evaluation of the impact of the workshops in practice will include following up with the practitioners at a later date to explore how they have applied the learning in their own practice. To register your interest in attending a future workshop please contact Michelle Heward. 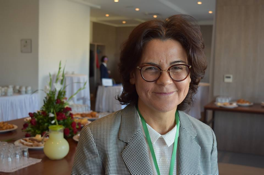 Dr. Rachel Arnold’s paper ‘Parallel worlds: an ethnography of care in an Afghan maternity hospital’  originally published in Social Science & Medicine (Elsevier) has been reprinted in full in MIDIRS. This is quite an accolade and should help this paper reach a wider audience. Rachel graduated with a Ph.D. from the Faculty of Health & Social Sciences in 2016, illustrating that some of the best papers get into print (long) after completing one’s Ph.D. thesis. Arnold, R., van Teijlingen, E., Ryan, K., Holloway, I. (2018) Parallel worlds: an ethnography of care in an Afghan maternity hospital, Social Science & Medicine 126:33-40. In this issue, we include the top six papers presented at last year’s Promotional Communications annual conference organised by the Corporate & Marketing Communications (CMC) Department in the Faculty of Media and Communication. Papers deal with subjects that many of you will find very interesting and topical (branding politics, Trump, gender equality, neuromarketing, monetisation and public health). The journal was launched in 2013 with the help of BU Fusion Funding and is the first open-access, peer-review journal for the study of promotional cultures and communication to publish outstanding undergraduate and postgraduate work. More recently the journal has published issues showcasing excellent collaborative papers written by BU students and their tutors. Two-day Workshop in Creative Writing for Academics now open! 11th and 12th January in EBC. and commit to participating for the two full days. All are very welcome: students, staff & academics. Places are limited and will fill up quickly. By engaging in creative writing, it becomes possible for all to write more clearly, more simply, even more creatively, when writing for academic publication. The workshop will present opportunities to work with new and creative levels through interfaces with techniques from the arts and humanities—fiction, poetry, auto-ethnography and biography, scriptwriting, techniques from filmmaking, including tags and loglines. These intellectual exchanges encourage joint exploration of how authors can engage with principles and tools from the arts in order to expand and extend the possibilities of reaching wider audiences. Sue Sudbury, Xue Han, Charlie Mott and Julian McDougall’s article on the Hunger By the Sea co-creation project has been published in the International Journal of Students as Partners. This research was generated by the co-authoring scheme funded by CEMP and Uo23, led by Anna Feigenbaum. 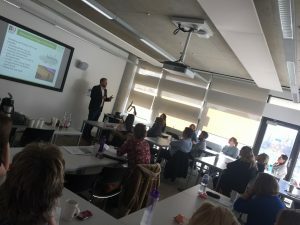 Sue and Julian committed to working together on this interdisciplinary reflection on a project which connected Sue’s award-winning approach to film as research with Julian’s work on student learning in ‘the third space’. 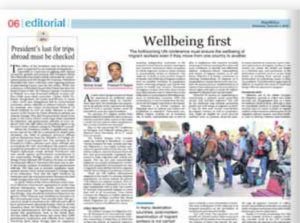 Congratulations to FHSS Dr. Pramod Regmi & Dr. Nirmal Aryal on their media appearance yesterday in a national English-language newspaper Republica. The newspaper article covers one of the key social issues in Nepal today namely migration, especially for work. Moreover, there was a different story on the Britain-Nepal health and medical relationship over the past fifty year. 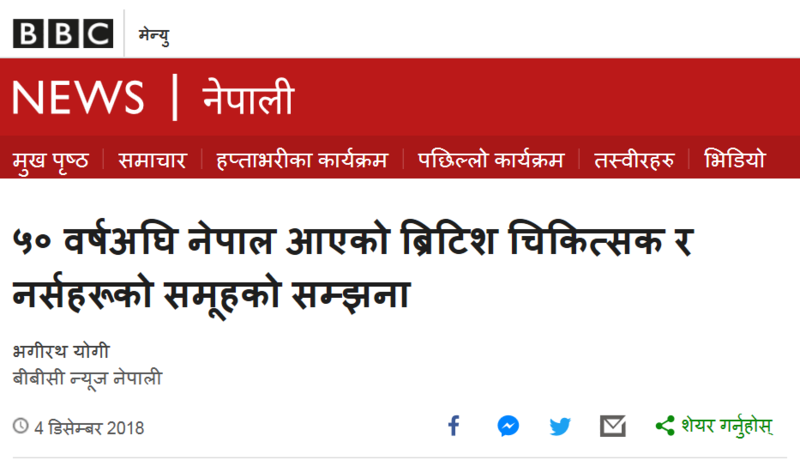 This feature article appeared on BBC Nepali (if you can read Nepali click here !). In FHSS we have been working on health and migration issues in Nepal and the health and well-being of Nepali migrant workers abroad for over ten years, resulting in numerous publications [1-9]. Simkhada, P.P., van Teijlingen, E.R., Gurung, M., Wasti, S. (2018) A study of Health Problems of Nepalese Female Migrants Workers in the Middle-East and Malaysia, BMC International Health & Human Rights 18(1):4. doi: 10.1186/s12914-018-0145-7. Adhikary, P., Sheppard, Z., Keen, S., van Teijlingen, E. (2017) Risky work: Accidents among Nepalese migrant workers in Malaysia, Qatar and Saudi, Health Prospect 16(2): 3-10. Aryal, N., Regmi, PR., van Teijlingen, E., Simkhada, P., Adhikary, P., Bhatta, YKD., Mann, S. (2016) Injury and Mortality in Young Nepalese Migrant Workers: A Call for Public Health Action. Asian-Pacific Journal of Public Health 28(8): 703-705. Simkhada, PP., Regmi, PR., van Teijlingen, E., Aryal, N. (2017) Identifying the gaps in Nepalese migrant workers’ health & well-being: A review of the literature, Journal of Travel Medicine 24 (4): 1-9. Aryal, N., Regmi, PR., van Teijlingen, E., Dhungel, D., Ghale, G., Bhatta, GK. 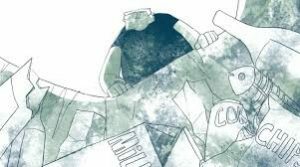 (2016) Knowing is not enough: Migrant workers’ spouses vulnerability to HIV SAARC Journal of Tuberculosis, Lung Diseases & HIV/AIDS 8(1):9-15. Sapkota, T., Simkhada, P., van Teijlingen, E. (2014) Nepalese health workers’ migration to United Kingdom: A qualitative study. 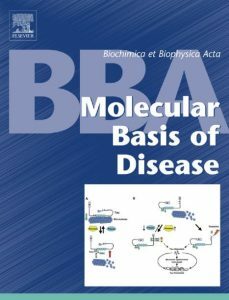 Health Science Journal 8(1):57-74. Sascha Dov Bachmann (Associate Professor in International Law (Bournemouth University and Director of BU’S CROLS) and extraordinary Associate Professor in War Studies (Swedish Defence University, SWE) spoke on Hybrid Warfare and Lawfare in Brussels this November. 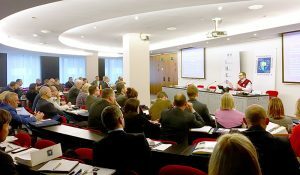 He presented on Hybrid Warfare and Cyber – enhanced Lawfare at the Permanent Representation of the French Republic in Brussels at an event organised by IHEDN-CESD – the French Institute for National Defence Studies. 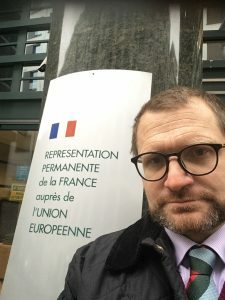 La Représentation Permanente française à Bruxelles accueille les 53 participants du cours IHEDN-CESD dédié à “l‘Union européenne face au défi des menaces hybrides“. Sascha Dov’s work is repeatedly referenced on the NATO legal virtual desktop, thereby demonstrating the high-impact and publicity which his research generates. His research on Hybrid Warfare and the role of Cyber and Lawfare has been identified as 3* plus impact in the last institutional stocktaking exercise at BU and is being developed further. He has been invited to join NATO SHAPE as visiting Research Fellow.